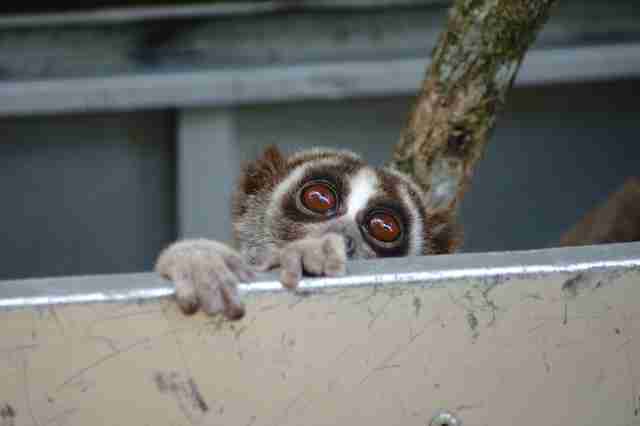 The slow loris peered over the edge of his transport carrier and gazed up at the canopy of trees. After spending months in rehabilitation, he was finally seeing the forest again — and he seemed very happy about it. 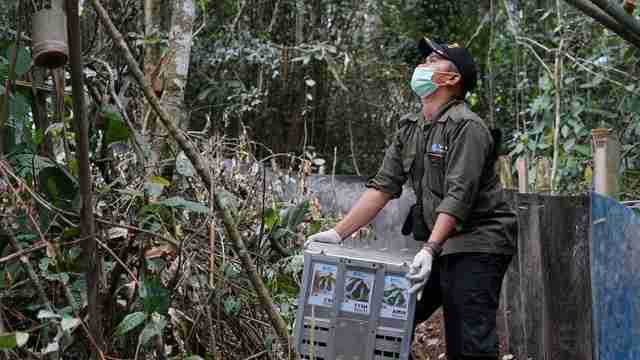 Earlier this month, the team at International Animal Rescue (IAR) released this slow loris, as well as 19 others, into a large habituation enclosure set up within a rainforest in West Java, Indonesia. All of them had previously been kept illegally as pets, but their owners had eventually done the right thing and surrendered them to the Conservation of Natural Resources Department (BBKSDA). 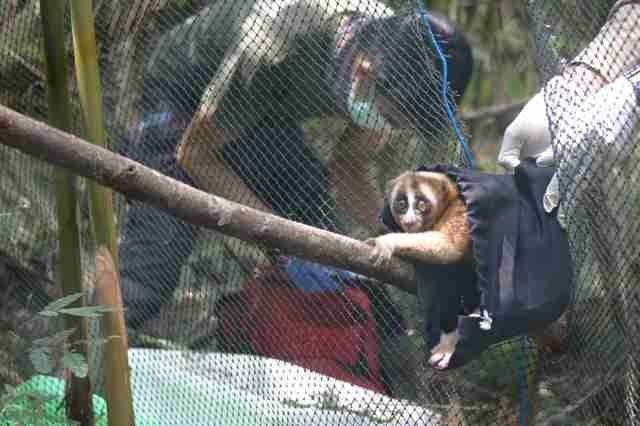 From there, the slow lorises went to IAR for medical care and rehabilitation. 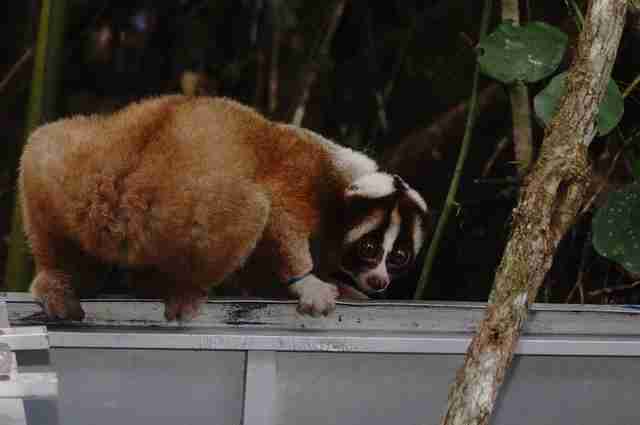 Some of the slow lorises required months, or even years, of rehabilitation. 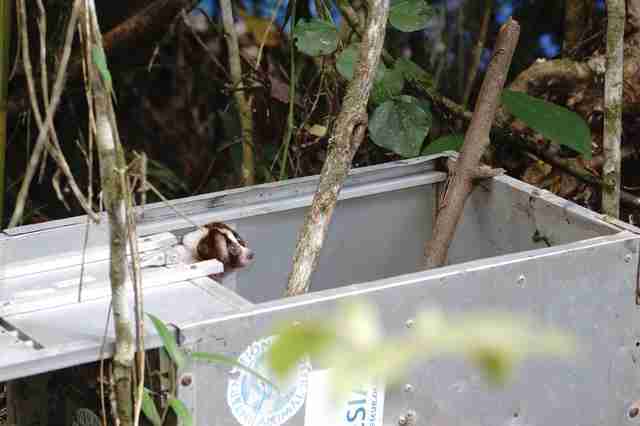 But once the IAR team decided the tiny animals would survive in the wild, they carried them in transport carriers to the habituation area within a section of protected forest. 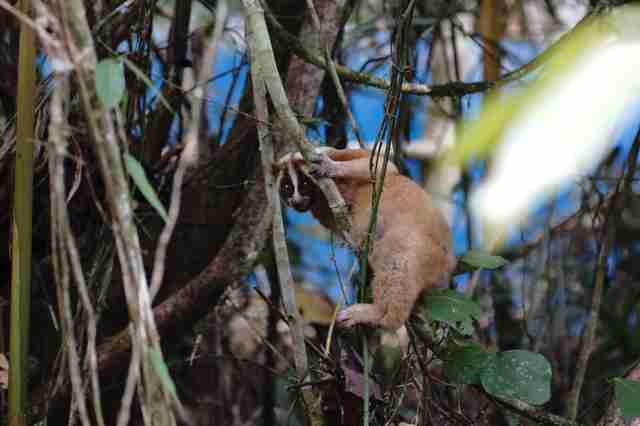 Slow lorises are shy creatures, and most of them took a few minutes to get accustomed to the habituation cage before climbing out — but they eventually all emerged. 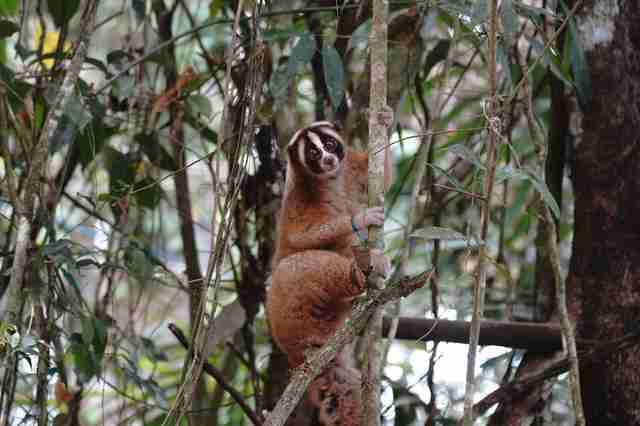 Sadly, not all slow lorises are able to be released back into the wild. When slow lorises are kept as pets, they’re often psychologically traumatized and lose their ability to express natural behaviors. In some cases, people even clip out a slow loris’ teeth — a painful procedure done without anesthesia — so that the slow lorises are easier to handle and can’t fight back against their owners. However, this leaves these slow-moving animals without any natural defense in the wild, so they’re unreleasable. 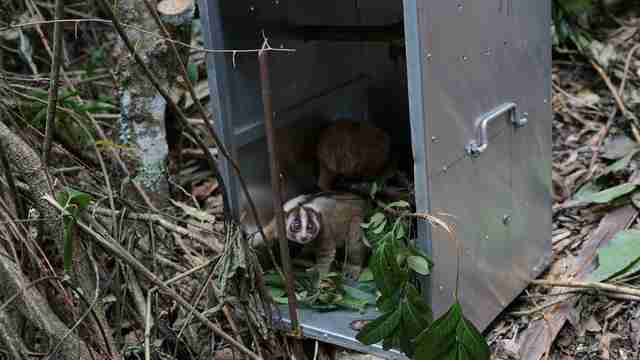 But so far, these 20 slow lorises, who were all saved before they lost their teeth, are doing extremely well, and IAR expects that they’ll be ready for their permanent release soon. To help rescue and rehabilitate more slow lorises from the illegal pet trade, you can make a donation to IAR.